A growing population and the increasing use of marginal lands have led to serious land and ecosystem degradation in many parts of the Blue Nile Basin in East Africa. We work to promote land, soil and ecosystem restoration in existing and emerging national and regional processes and investments. Our research promotes improved governance for equitable and sustainable management of infrastructure and ecosystems; delivery of more healthy landscapes and ecosystem services for productive economies and food security; and capacity enhancement and professional development. Our soils are capable of sequestering atmospheric carbon in the form of soil organic carbon. This is not only good for agricultural productivity, providing crops with healthier soils, but it also contributes to reducing the amount of greenhouse gasses in the atmosphere, thereby helping to reduce the impacts to climate change. A great deal of work has been done in East Africa to find appropriate interventions and investments to improve soil carbon sequestration. Sinking more carbon in the ground is more appealing than ever to meet new emissions targets. But it’s not that easy. While some soils currently do not sequester carbon, it doesn’t mean they can’t in the future. All soils have the potential to sequester carbon if we can establish the right practices to do so within a given context. In recent years, carbon sequestration has gained tremendous momentum and national and international initiatives have been taken up. But as to exactly how much of this carbon can be mopped up through sequestration is up to debate. A 5-year program seeks to mitigate climate change through soil carbon sequestration in at least five countries. Equitable water use between the countries of the East African region is a hot topic that flares up from time to time. In order to ensure that every sector has the quantity and quality of water that they need, smart and cooperative water management must be a priority, especially in the agricultural sector. From IUCN Water. The Tana River, Kenya's Liveline. The Tana, Kenya's longest river, flows for over 1,000 kms with a catchment area of 95,000 km² (roughly the size of Portugal). The River Basin has significant development opportunities for hydropower, domestic water provision, and irrigation - planned as part of Kenya's Vision for 2030. Did you receive roses for Valentine's Day? If so, they may have come from the Kenya, the 4th largest supplier of cut flowers in the world. Originally from the CIAT Blog, this piece looks at work done in the Tana Basin to ensure good management of land and water resources make sure this industry can continue. 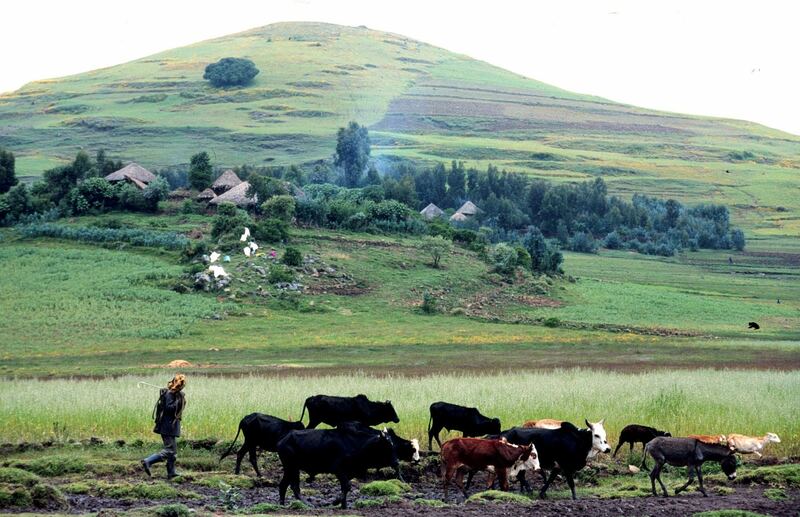 Land and soil are the literal bedrock on which agricultural productivity is built, but a great deal of land in East Africa is degraded due to overuse and poor practices. WLE is working with farmers and governments to ensure the longevity and sustainability of agricultural land use to support food security and livelihoods in the region. Sommer, Rolf; Paul, Birthe K.; Mukalama, John; Kihara, Job. 2017. Reducing losses but failing to sequester carbon in soils – the case of Conservation Agriculture and Integrated Soil Fertility Management in the humid tropical agro-ecosystem of Western Kenya . Agriculture, Ecosystems and Environment 254:82-91. Margenot, Andrew J.; Sommer, Rolf; Mukalama, John; Parikh, Sanjai J.. 2017. Biological P cycling is influenced by the form of P fertilizer in an Oxisol . Biology and Fertility of Soils 53(8): 899-909. Ng'ang'a, SK; Mwungu, Chris M.; Mwongera, Caroline; Kinyua, I.; Notenbaert, An; Girvetz, Evan. 2017. Survey data on cost and benefits of climate smart agricultural technologies in western Kenya . Data in Brief . Elsevier BV, In press. For International Day of Rural Women, Thrive contemplates how women farmers are coping with today’s agricultural challenges. Researchers are finding that the right interventions can benefit not only struggling farmers but also women specifically as well.